A saline aquifer is a geological formation of porous sedimentary rocks containing salt water (and therefore unfit for consumption). Where do saline aquifers occur? These formations are quite widespread in the world and are usually deeper than fresh water aquifers. The existence of identical structures containing naturally occurring CO2 gave the idea of using saline aquifers, which are of no value for fresh water production, for storing carbon in the sub-soil. 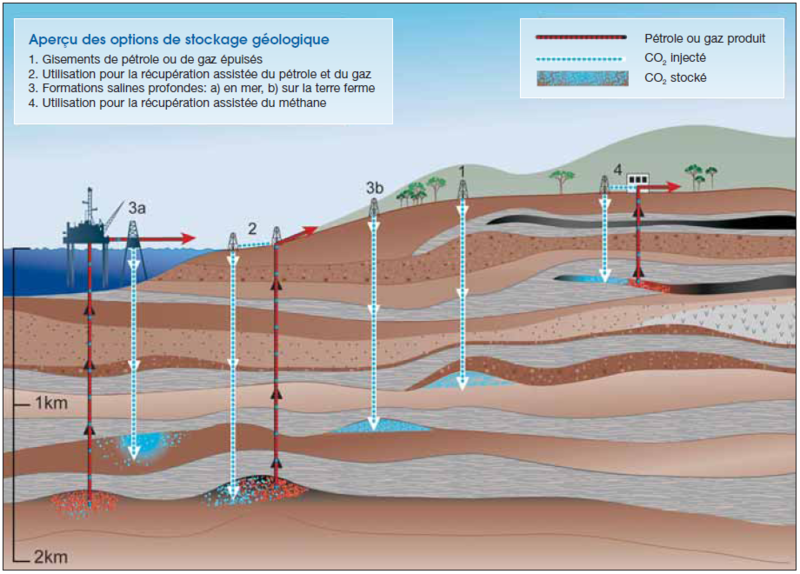 These aquifers are widespread over the planet, reducing the need to transport the captured CO2. However, we still know little about the characteristics of these saline aquifers.